"Legendary ivory-tickler Spooner Oldham is synonymous with the Muscle Shoals sound. 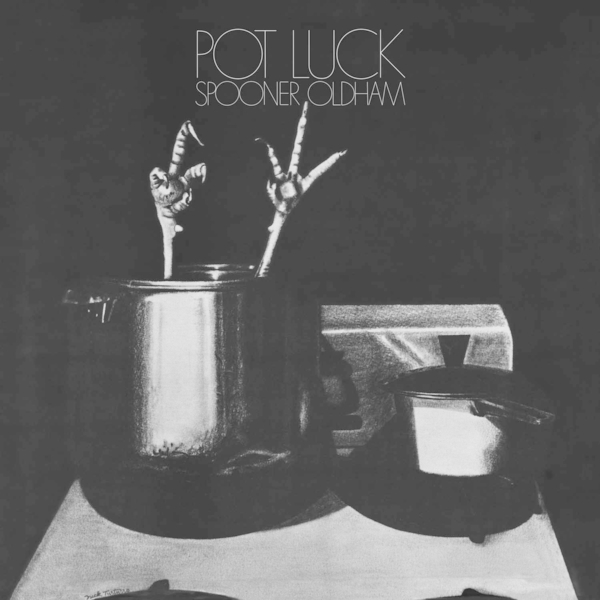 The southern soul pioneer famously backed the likes of Etta James, Jimmy Hughes, Wilson Pickett, Percy Sledge, Aretha Franklin, and many more, but his lone solo album, Pot Luck, finds Spooner in a rare role: front and center. With this deluxe reissue of his solo LP, it’s time for Oldham to get his own dues. “I don’t think anybody, anywhere, at any time, has ever heard it,” he says. “I’m just happy someone wants to hear it now"
Expanded gatefold edition housed in deluxe Stoughton “Tip-On” gatefold jacket.